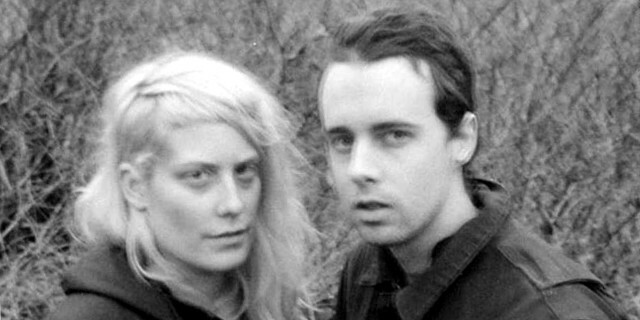 BOY HARSHER: Country Girl EP (Ascetic House) — oh boy, been very much looking forward to this one. Yr Body Is Nothing was one of my favourite albums of last year. Not only did I play it a whole lot, “A Realness” is my morning alarm clock sound. If you liked that album, this EP will delight you utterly. They’ve taken the minimalism of the album and developed from that base — rhythm and atmosphere, drum machine and synth bass with echo-drenched vocals — in several directions that I couldn’t have predicted but which are retrospectively obvious. Look, just play “Motion” and “Country Girl” up there. Also get the previous album and the first EP. Playing live in London next month. 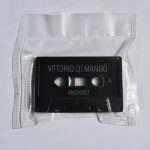 VITTORIO DI MANGO: Wrong Definition (AMOK Tapes) — From last year, Di Mango’s debut EP. “Jump” doesn’t bother with a melody, just a (catchy) rhythm and ideas from trance techno done in a minimal industrial style. “Wrong Definition” is the same sort of thing, not as catchy. “Advice” starts even more minimal, before getting into the vocal samples; it’s all about that ’80s atmosphere. “Hölle” applies a bit more melody to the process, but is otherwise a driving finish. This is a good EP and worth a spin. 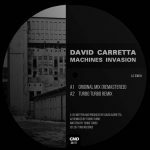 DAVID CARRETTA: “Machines Invasion”; “Never Control” (GND) — David Carretta is a DJ with an extensive track record of excellent techno; this YouTube playlist is a good introduction. “Machines Invasion” is a remastering and remix of a track from 2000. Good old-fashioned DAF-style EBM, with one beat and two notes. Some twiddly bits later in. It works. The Turbo Turbo remix is atmospheric bare bones. 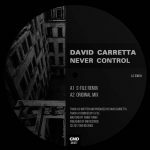 “Never Control” is bleepier and has a melody, but is otherwise along the same lines; the S-File remix is the same thing without the melody. It’s got a beat and you can dance to it. Above: “Never Control” and Carretta live at the MS Connexion, Mannheim, 16 September 2017.